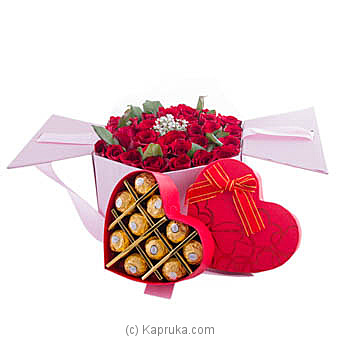 Make your sweetheart feel happy, loved, cared and remembered throughout the life. Celebrate the significant days in your life in a unique way, and make a day memorable for a person you love. Here is a gift of nature, designed by the floral experts at Kapruka, for you to express yourself in a heartfelt manner.